Nestled on the beautiful Fort Morgan peninsula between Mobile Bay and the Gulf of Mexico, rests one of Alabama’s most spectacular golf resorts - Peninsula Golf and Racquet Club. 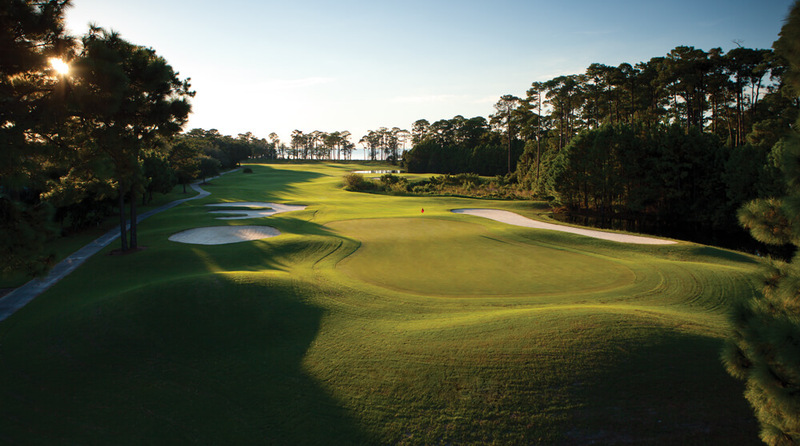 Rated 4 ½ stars by Golf Digest and selected as one of the “most memorable and enjoyable” courses in the southeast, Peninsula provides a golfing experience that is rivaled by few. Designed by the renowned southern favorite, Earl Stone, the 27-hole golf course boasts 7,026 yards from the championship tees and delivers a playable and enjoyable layout for golfers of all skill levels. Rich in nature and wildlife, the Peninsula Golf and Racquet Club is located directly next to the Bon Secour Wildlife Preserve and winds through over 800 acres of beautiful live oaks, cypress trees and much more natural vegetation. In addition to the beautiful scenery, you may also stumble across some of the local wildlife, like alligators or eagles which are commonly seen throughout the course. Be sure to see our signature hole Lakes #7 while visiting Peninsula. 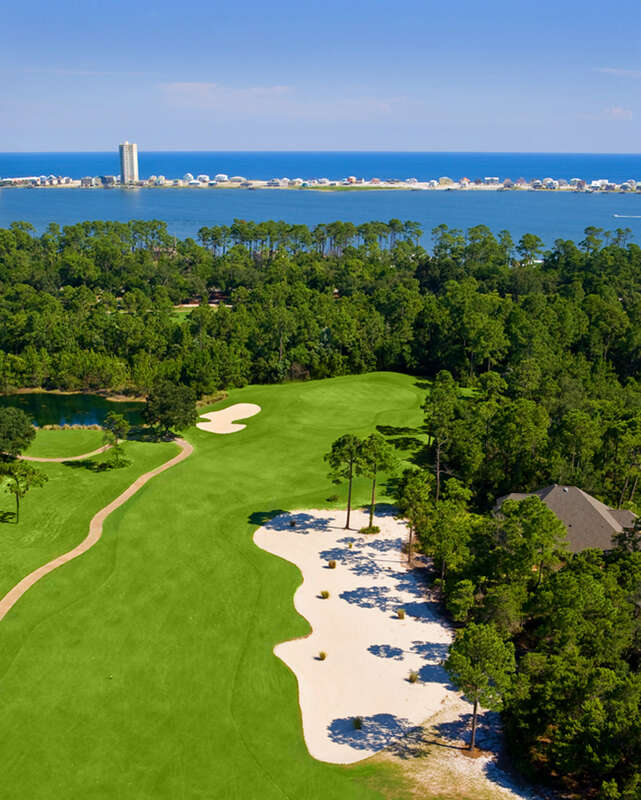 This par five boasts a large landing area off the tee and a backdrop of beautiful Mobile Bay. Make sure to play your second shot down the right side of the fairway to avoid the wetlands left. Big hitters may elect to go for this long and narrow green in two, but beware of the hazard left and out of bounds right. - Designed by golf course architect Earl Stone in 1995. - 27-hole Golf Course with three distinctive nines: Cypress, Lakes and Marsh. - Course boasts over 7000 yards from the championship tees. - Provides an enjoyable playing experience for all skill levels. - As a whole, the golf course is spread over 800 acres on the Fort Morgan Peninsula. 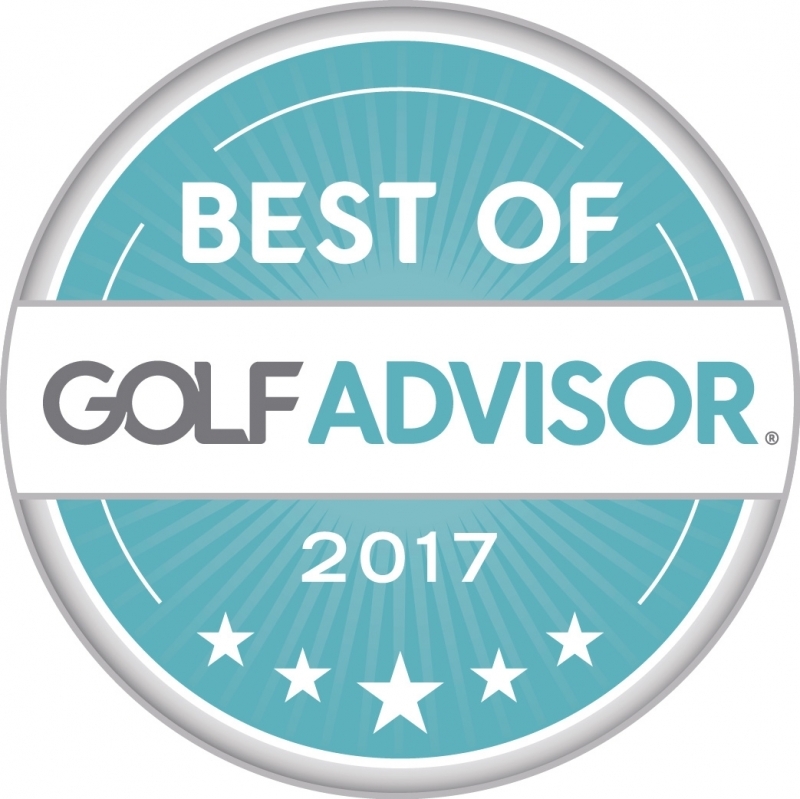 - Managed by Honours Golf, a division of Troon Golf.